The Lower Elementary West students finished their research and projects about different countries in Asia. 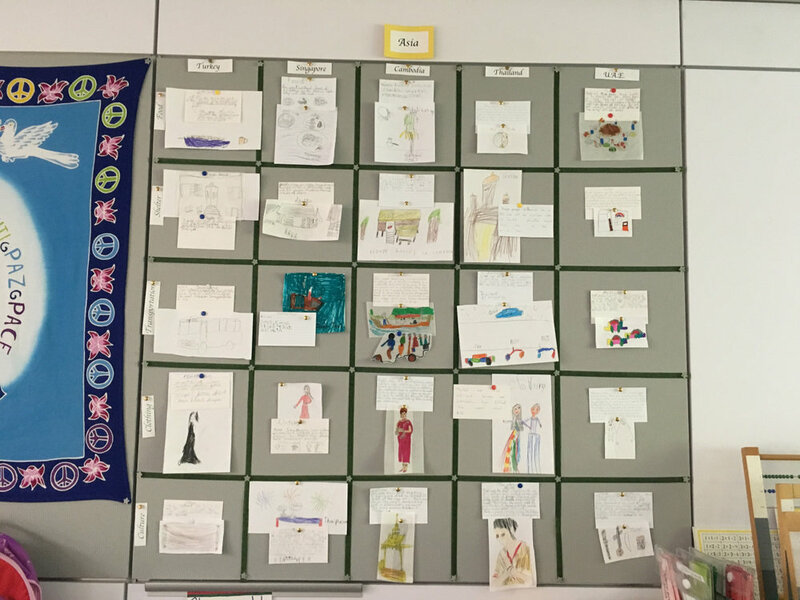 Using the Fundamental Human Needs as a guide, they worked together in groups of five to conduct research about the food, culture, transportation, clothing and shelter of a particular country. Finally they presented them in a chart to the class. Some students followed up with 3D model type projects of shelters, clothing and foods.